A detailed guide on how to write an effective and insightful 5-paragraph essay, along with guidelines on how to write each section and a sample essay. Writing an essay will no longer be a problem for you. How to Write a Five Paragraph Essay and Make It Brilliant? Writing a 5 paragraph essay is one of the most common types of written assignments you will be required to put together. This particular format is very useful, because it will help you develop your narrative and compositional skills of ninja writers, and prepare you to write other types of essay. The first components of the 5 paragraph essay format is the introduction. This is where you will present your thesis statement for the reader. Roughly speaking, an introduction of the 5 paragraph essay needs to do two things: it needs to explain what the essay is about, and to get the reader involved. Also, once you have presented your thesis statement, you need to use the last sentence of the introduction as a means of transitioning from the introduction to the first paragraph of the essay body. Once you have done all of the above, you can begin to write the first of the three body paragraphs. The first paragraph of the five paragraph essay should always contain the best argument that supports your thesis statement. You can also support it by naming a strong example, or state something in favor of your argument that is clearly obvious and true. 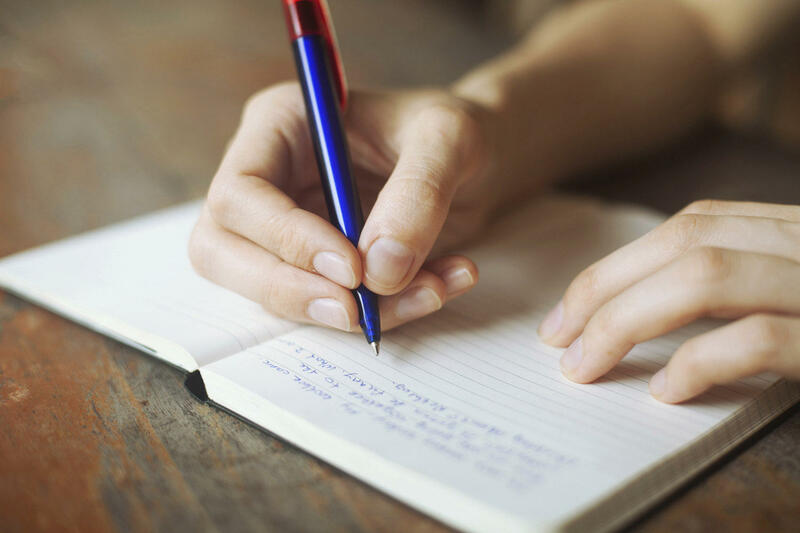 You should also aim to establish a connect between the last sentence in the introductory paragraph, and the first sentence of the first body paragraph. When putting together the last sentence of this section, according to ninja experts, you should create a transition, so that it is connected to the first sentence of the second body paragraph. The second body paragraph of the five paragraph essay format needs to contain yet another argument, example, or an observation which supports your statement. However, make sure that your strongest argument is always presented in the first body paragraph. The arguments in the second body paragraph should be the second strongest, so to speak. They should be presented in the first or the second sentence of the paragraph. As is the case in the first body paragraph, the last sentence of the paragraph needs to have a transition that will connect it to the first sentence of the third body paragraph, as well as relation to the thesis statement in the intro. In case you are not sure how to write 5 paragraph essay, line up your arguments. Your weakest one should be placed in the third and final body paragraph. It should still be supportive of your statement, but it doesn't need to be as strong as the ones in previous paragraphs. The first sentence of the paragraph needs to relate to the last sentence of the previous paragraph, as well as to the thesis statement in the intro. The last sentence of the third body paragraph needs to have a transitional hook that guides the reader toward the conclusion. When writing a 5 paragraph essay, the concluding paragraph should contain a restatement of your thesis statement, which you have presented in the introductory paragraph. It can be an allusion to your thesis, or you can paraphrase it, but you cannot duplicate it. You should also take the opportunity to provide a summary of your writing inside the three body paragraphs of your essay. As for the final statement, you need to present it in such a way that the reader is sure that the discussion is finished. At the moment, one of the hot-button topics is the censorship on the internet. It is an issue that needs to be addresses because, even though there are many pros and cons of internet censorship, the internet needs to remain a medium where everyone can state their opinion and have their say, without getting censored. This is what makes the internet, when compared to all other media, the only truly free medium. The first sentence of the introductory paragraph immediately states what the topic of the essay is. Then it goes to present the paper's thesis statement, which explains that even though there are pros when it comes to internet censorship, the internet needs to remain free, because it's the only medium available for everyone to use. The last sentence of the paragraph provides a "hook" for the reader, stating the freedom that the internet represents. The media are either owned by the state, or by corporations, while the internet is not owned by anyone. It is available for anyone who has an active internet connection. This allows for true freedom of speech, because your voice can be heard by millions, often free of charge, without fear that you will get banned or censored. However, there are countries with internet censorship. Government censorship of the internet is possible in cases when the state owns all of the ISPs, or the sole ISP in the country. In such cases, all the other media are also owned by the state, which completely controls the flow of information. The first sentence of the first body paragraph goes on to elaborate that all media are usually owned by someone, whether it's the government or some corporation, both of which have their own interests, and both of which use the media to gain profit and/or power. It also provides arguments on how governments and corporations are able to do this. Seeing as they already own the rest of the media, once they gain control of the internet, they will have control of all the information, as stated in the last sentence of the paragraph. North Korea is one of the most isolated countries in the world, and its citizens do not have the freedom to communicate their problems with the rest of the world using the internet, because it is monitored by the government. In fact, there are only a handful of websites which people in North Korea are allowed to visit, and all of them are used to spread political propaganda. Human rights are being broken every day, yet we know very little about the specifics of what North Koreans are going through every day. While this is an extreme example, it just goes to show where things can end up if we don't stand up against internet censorship. We need to keep the internet censorship debate alive, until the internet becomes censorship-free. The first sentence of the third body paragraph picks up where the previous one left off, with North Korea. Further information, arguments, and examples are given to illustrate the level of censorship their citizens experience. The paragraphs then explains that North Korea is an example of where censorship can take us, and why we must fight against it, which is stated in the last sentence of the third paragraph. Seeing as we spend most of our free time online, the right to censorship-free internet is just as important as our right to breathe. It belongs to everyone, and nobody in particular, which is why must fight for it to stay that way. If we manage to win that battle, the internet, and the world, will become a better place for everyone. The concluding paragraph summarizes the arguments presented inside body paragraphs, and echoes the thesis statement presented inside the introductory paragraph. It maintains the importance of having censorship-free internet. Finally, the last sentence serves to tie everything together and to serve as a call to action. if you are still having doubts about how to write a 5 paragraph essay, reach out to Ninja Essays. Their brilliant writers will help you put together an effective essay in no time!